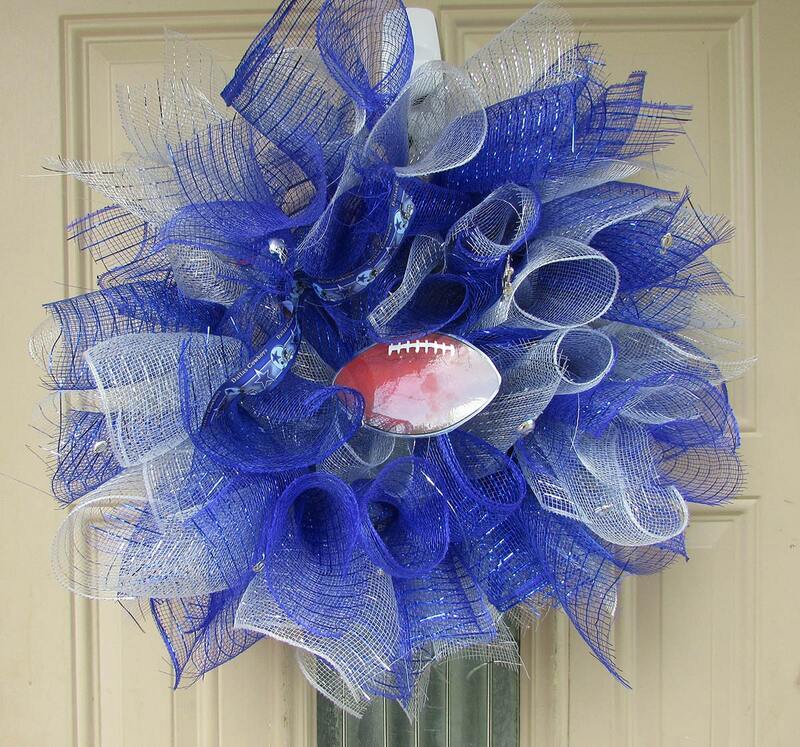 Who doesn’t love to decorate with ease? 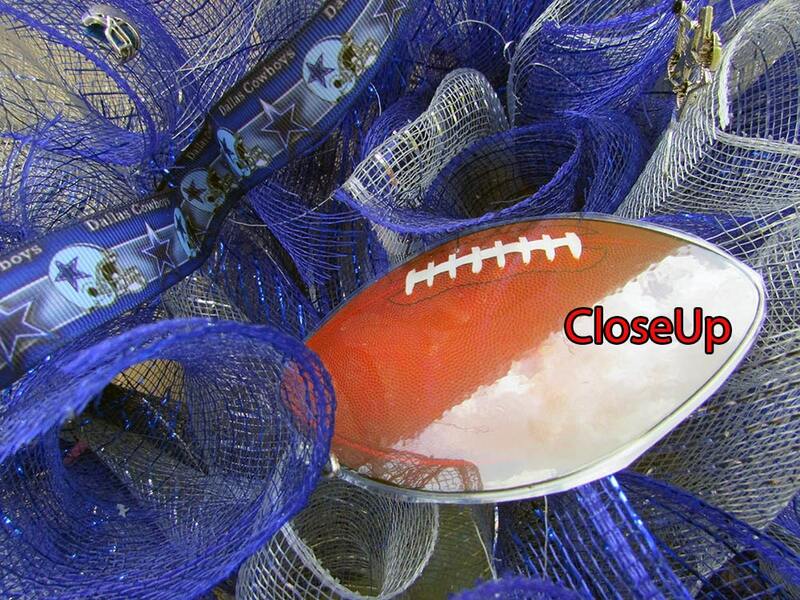 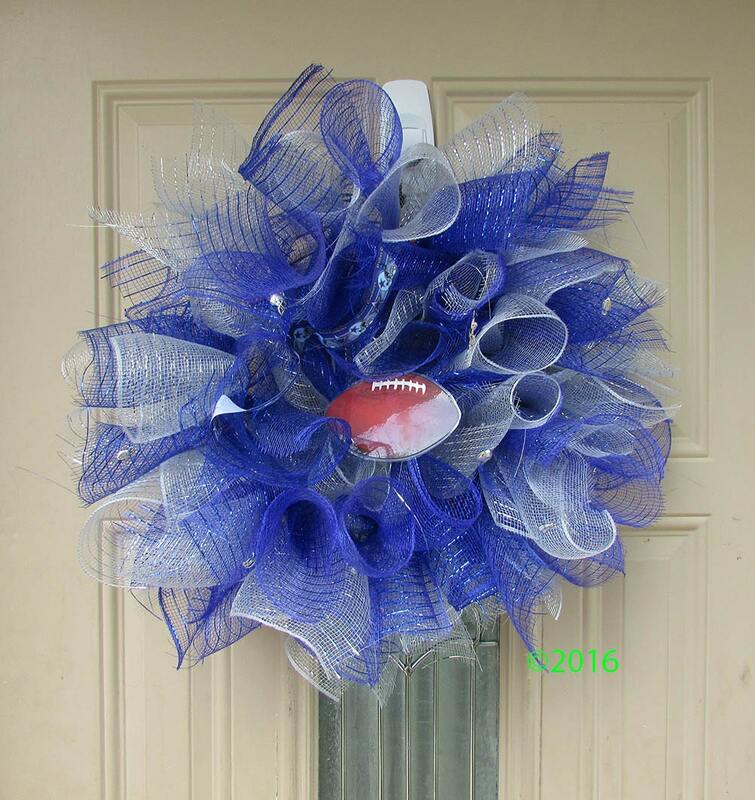 Enjoy a wreath with your favorite sport or team that can be used throughout the year. 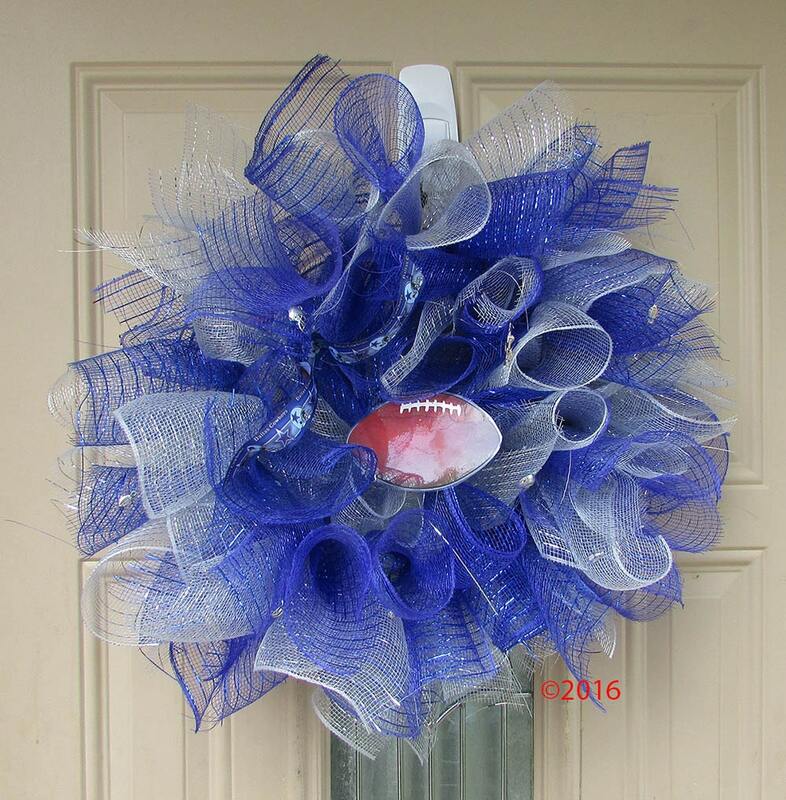 Our example Dallas Cowboys wreath is created with silver and blue mesh and accented with a laminated football and charms. 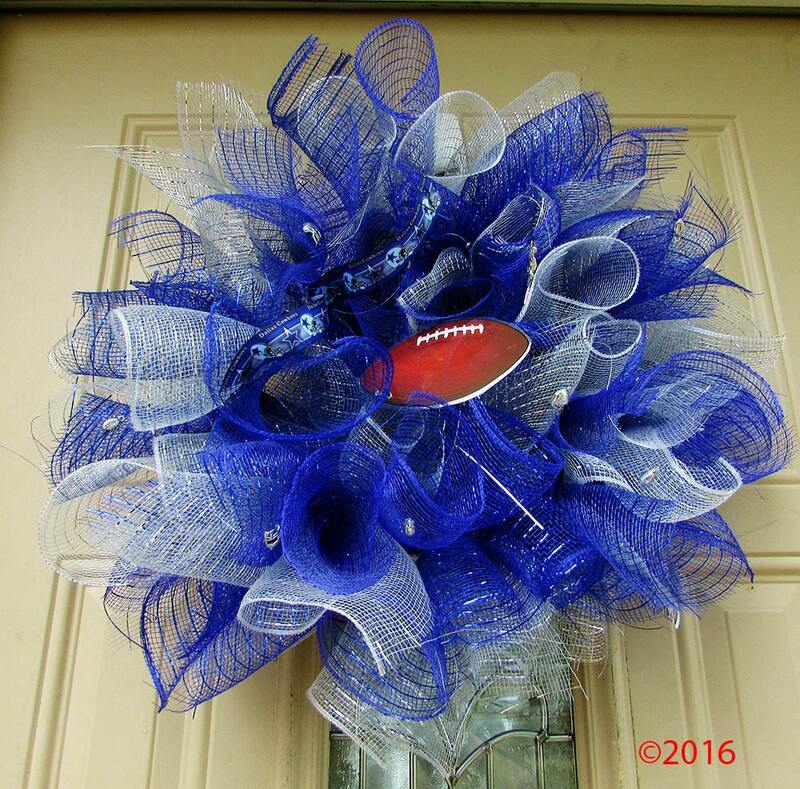 We are happy to accept custom order requests!